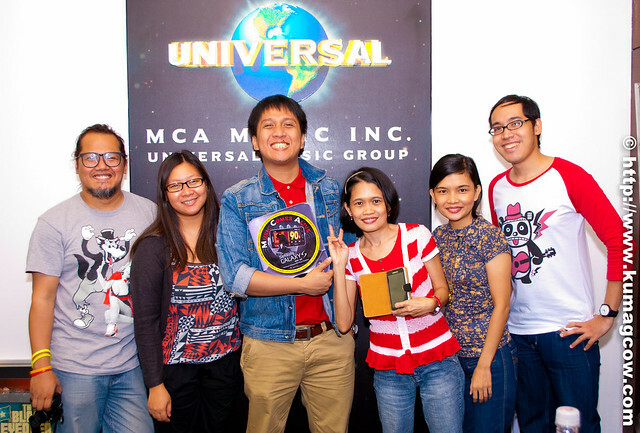 Chicosci, Other MCA Artists Spearhead 90's Music Comes Alive Album! The 90's was my time. In the heydays of successful bands and their music, those were the years when they had the scene all to themselves. From successful ones who still play today, to one hit wonders that nobody knows now; you had your own pick who to listen to and you never really asked why. 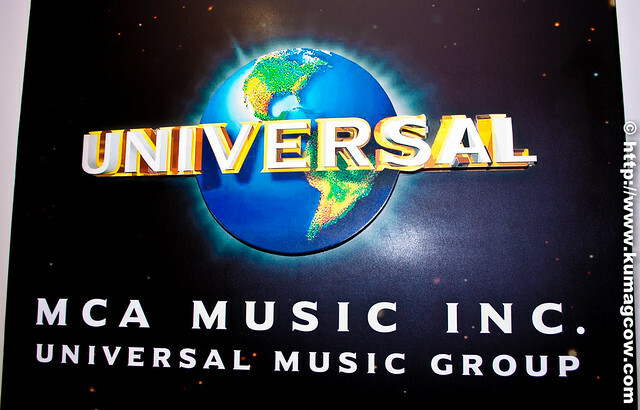 It was freedom in creativity personified and OPM was huge and fighting with international labels. The culture I grew up with was choice between hiphop or metal. We seldom stay in between but since we listened to what the world could offer, it broke those barriers locally too. It was like the rebirth of both the band scene and popular music... we had it all to ourselves and we enjoyed it. I never knew it would actually come back; thanks to MCA Music Inc. they truly understood what music meant for us... children of the 90's. Now put yourself into the mood again as these great local artists from MCA Music Inc. do their renditions of your favorite songs from that era. Oooh I just want to close my eyes now and just take a moment... and get a load of these! Yes ladies and gentlemen, that's the classic song entitled Unbelievable by my favorite Epsom Mad Funkers (EMF) shown here sung by awesome local Rock Band Chicosci in the attempt to actually have an album with songs all from that era interpreted by MCA's best bands and artists. 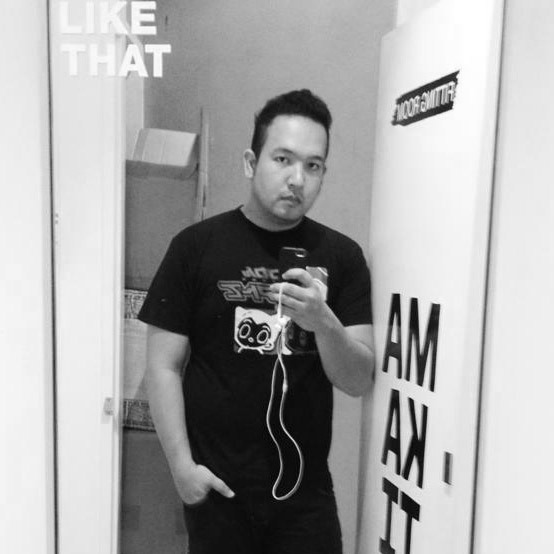 I got the chance to actually talk to one of Chicosci's members, hot guy/Bass Guitarist Carlos Calderon. Honestly, I only listened to most of their tracks a few days ago and I wouldn't want to tell you that I'm an expert on their music. But it was so enlightening to see they took their music influences to heart and got this hit from the 90's and did it with so much gusto that you'd almost believe it was their original. Though they stayed with Rock as their genre their style definitely is a lot different compared to other bands from the local scene. The vocals are not on top of the track; and I saw that this was quite evident for most of their hits from past albums. I don't know if this was intentional either but it serves a purpose. I guess they wanted the whole song to be the star of the show than just plainly having the vocals send its message. I asked about what he felt about not seeing NU107 and MTV Philippines anymore and he said he felt sorry for the next generation that there were no more huge avenues for bands like them to show their music. If it weren't for those guys who they also got awards from, doors wouldn't have opened for them. He hopes someday there would be another entity that would take on the same role for more bands in the future! Initially when they made this album with other artists, they wanted to do Unbelievable since it was part of their repertoire. They were so glad to be given the chance to do this because as some of you might not know, they listen to a huge array of music... he mentioned they can also be as flexible as Katy Perry, Beastie Boys or Smashing Pumpkins. I love their comparisons; and I like the variety of music they were influenced from. The part choosing Unbelievable was actually a no brainer for them because they adore British Pop Rock. Calde as everybody calls him said they wanted to stay as close as possible to the original song, even the DJ parts were done and recorded. They didn't have that much problem about the low tone voice requirement and the band could easily fill that up. In the next huge collaborations like this MCA compilation, they want to do something from the 80's like Black or White by Michael Jackson. Next year, they plan to release their own full length album with all original songs and somewhat achieve a more experimental sound. MCA gave them a lot of freedom creating their music. Calde said that he appreciates that MCA does this because they can pretty much do whatever they want for their music, they can adjust to whatever condition they want the lyrics to be in like for example; they didn't have any swearing in the last two albums. That's going to get them more listeners if they don't have explicit lyrics on them. It's a pretty good step in getting a wider audience. I also asked him about the members who left the band; he immediately said that those guys went out of the band for their families, so now they are in Ireland, Italy and Canada mostly for work. He's very proud to have worked with Ely Buendia, Raymund Marasigan and Buddy Zabala; they are looking forward to have some of their songs collabed or reworked by these talented people. If they get their nod who the hell am I to not appreciate that? After all, if you just mention their names and I'd say WE ARE NOT WORTHY! LOL! They are open to have more collaborations with artists of different genres. If you saw their recent videos, some hiphop artists and fliptop celebrities are on them too. In Poison, Fuego was the skateboardist. Miggy (Chicosci's vocalist) mostly make all the lyrics; that's after the band creates the music. That's their current process and it works for them. They pretty much stayed this way. They do this so the vocalist knows and feels what it meant. Makes sense. They also tried to play acoustic songs but quite more comfortable with full sets. Right now, they are working with Eric Perlas of Tower of Doom records so watch out for their greatest album yet next year! They want to release an International album. They have already toured around Southeast Asia and some other countries; they feel quite lucky they have opened for a few big bands and shows outside the Philippines. They are all glad that their Girlfriends are very understanding, they are after all rock stars. Some fans even have befriended them so Carlos said they are not worried about getting hounded in public. Their current vice is food and they enjoy Army Navy Sandwiches if you guys know the store. These days, they had a break this Christmas season but can't wait to get back to work in January. They are looking forward to the GMA countdown which they hopefully will be part of. They have been doing this for a few years now so watch out if they will appear this year too! In a nutshell, I'd like you guys and take a look at 90's Music Comes Alive and get it at your leading record bars. This is also presented by Samsung Galaxy S Wifi 5.0 which I would gladly test out if I get one LOL! (hint, hint!) You can also download em to your mobile phones by texting NINETIES to 3456 on all networks. This in cooperation with Megaworld Lifestyle Malls, the same company that brought you iconic Eastwood City, McKinley Hill and Newport City. The grand launch will happen on January 13 in Eastwood, and Mckinley hill on the 14th. Check out what shaped my generation and the band scenes today! 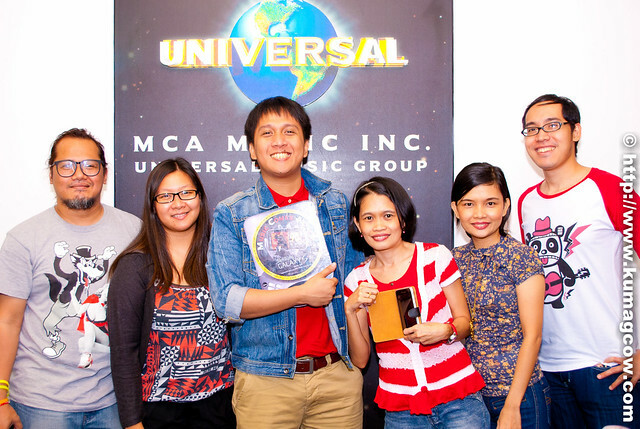 Thanks to the good people at MCA Music Inc., Jeman of OrangemagazineTV for hooking us up! I envy your office! LOL! I told some of you on Twitter Account and my Facebook page that I'm giving you a present. 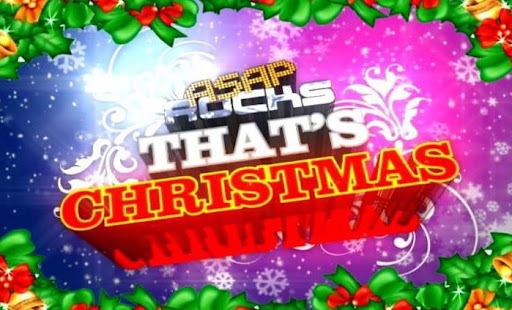 Are you ready for ASAP ROCKS "THAT'S CHRISTMAS!"???? They open up with a stage that glistens with stars all over! When you want to celebrate Christmas what do you do if you are in ABSCBN? You get the most coveted tickets; to watch the ASAP ROCKS Christmas Special! When everybody else was wishing they were here, I got the chance to do it... finally. It's all about family, friends and those who are important to you. It's all about GOD and your loved ones. A showcase of talent and the great people who adore you doing it, that's what ASAP ROCKS is for. Would you want to do otherwise? How about the HOT and GORGREOUS Anne Curtis and Cristine Reyes heating up the stage with your taste of No Other Woman! The awesome Valenciano Family. Singing their hearts out, impressive. Watch out for Gary V's exhibition. I definitely had fun watching that! Another round of beautiful music from Yeng Constantino, Jovit Baldovino and Angeline Quinto dedicated to parents. Yeng cried, it was very touching! This kid can really dance, even strutting it out with Gary V's son Gab. It was so fun seeing Bugoy Carino's intensity... he can really outperform grown ups, you all be careful! Xyriel Manabat and Zaijan Jaranilla with Bugoy Carino who did the same thing too. Now comes the number of the hunks of ABSCBN, don't you guys agree? When you see gorgeous men, you must balance this with GORGEOUS ladies! Look at Julia Montes, Kim Chiu and Erich Gonzales. Witwiw! 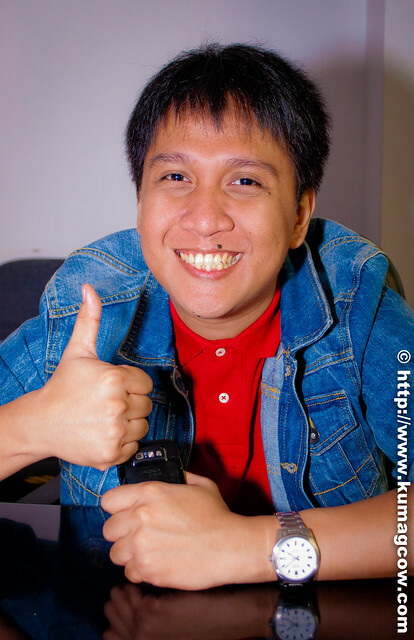 Enchong smiles like this! =) now ain't that a happy holiday! These guys just look so SWAAAAAG! Rayver giving it his all! Not to be outperformed, Shaina, Iya and Maja shook their booties to the songs too! Now isn't that a happy Christmas?! Champions sing the best Christmas Carols as people sway their head loving every bit of it! Christian Bautista, Angeline Quinto, Vina Morales and Jed Madela sung quite beautifully! They must have known I was coming LOL! Now comes the time to die of diabetes because of TEAM JANDY! Yes they were screaming too because of Kath Bernardo, Julia Montes and Daniel Padilla. Oh how I love these guys! Haayy LOL! As if the afternoon wasn't too fun, out comes the Comedy Queen herself AiAi Delas Alas! She was so hilarious Sam Milby and better half of Billy Crawford, Nikki Gil couldn't contain themselves. This was the bit where they introduced the special number by Gary V... I'm keeping that a secret, better watch the show! Awww... just look at how they look at each other. Maybe they got married in Hong Kong LOL! Yihee! Enchong and Erich again FTW! Not to be outdone, Gerald Anderson and Jessie Mendiola sweetens things up a bit here. Welcome to diabetes PART II LOL! To finish off the day, they had 2 acts... one from this awesome rock band! Then this awesome number will WOW you for sure! But let's keep it a secret between you and me. Now how's that for a Christmas Gift?! All these is for you! 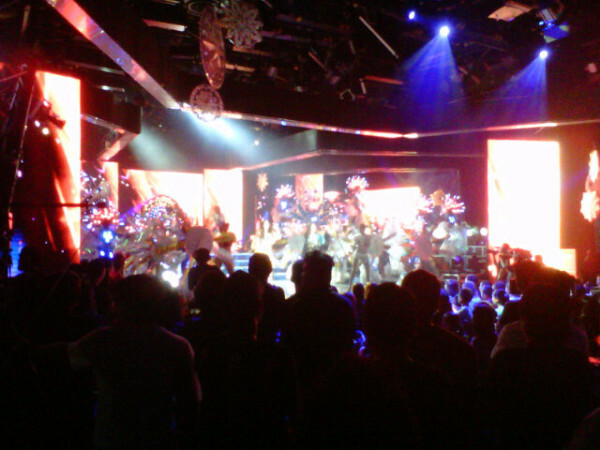 So if you are enjoying ASAP ROCKS now, make sure you watch every bit of it! This one's the best! 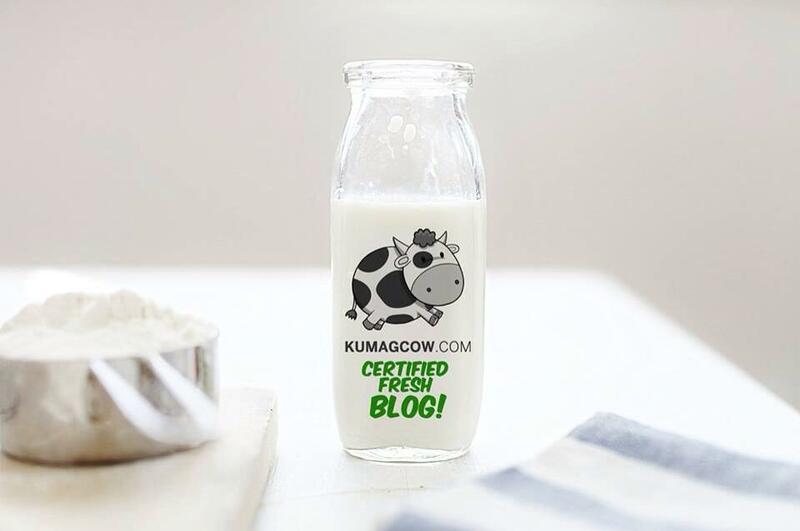 Check out their Social Media Channels too! Hell Hath Don't Do Me! Your Dream Office Space Is A Video Away! FREEWAY, ENSEMBLES & SOLO Year End Sale! SM Mall of Asia Opens The MOA EYE! Launching New Drinks this Season: Figaro!